Dr. Cree attended Biola University for her undergraduate degree in Psychology and a minor in Intercultural Studies. After graduating, she worked with an organization serving older adults, many of whom suffered from Dementia or other neurological issues. She then attended Fuller Theological Seminary’s School of Clinical Psychology to obtain her PsyD in Clinical Psychology. While there, she worked with a variety of age groups and settings, from young children to adults, and implementing interventions to address anxiety, depression, autism, relational conflict, ADHD, behavioral regulation difficulties, etc. 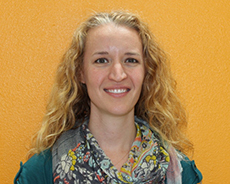 She has worked in both inpatient and outpatient settings, and with specialized training in diagnostic evaluations for autism, TBIs and with identifying learning disorders and ADHD. She has supervised and managed staff, developing naturalistic and developmentally-based treatment services for children diagnosed with ASD, and provided parent education and support. For several semesters, she also taught MFT students leading their practicum course and providing case consultation in their clinical work. During her free time, Dr. Cree enjoys spending time with friends and family, and enjoying the great outdoors, reading and traveling. Putman, K. M., Lantz, J. I., Townsend, C. L., Gallegos, A., Potts, A., Roberts, R., Cree, E. R., DeVillagran, M., Eriksson, C. B., & Foy, D. W. (2009). Exposure to violence, support needs, adjustment, and motivators among Guatemalan humanitarian aid workers. American Journal of Community Psychology.